TMS Europe, in partnership with suppliers such as Eurotherm, has a reputation for delivering temperature control and automation solutions that provide customers with measurable financial advantages. We provide solutions that can reduce energy costs and improve productivity whilst enhancing the quality of your products. We offer a range of Eurotherm products including recorders, both paper chart and videographic, as well as stocking controllers of various sizes and capabilities to cover a large number of applications. The range also includes recorders with data management, which are ideal for use as part of your AMS 2750 regime. 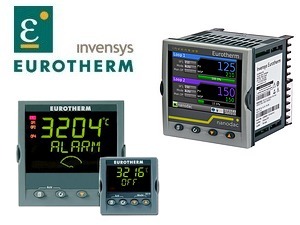 Below is just part of the Eurotherm product range available directly from TMS Europe. We are happy to help you in finding the right models for your requirements and for larger projects we can arrange site visits to assess your opportunities and demonstrate the latest technology available from TMS. For further information please contact our sales team. Accurate indication and alarming of temperature and process measurements. A recorder without a built-in display, accessed and configured via a computer network. Digital Communication, Relays output and Event Inputs options. This model is no longer available and is superseded by the Eurotherm Versadac.